Infusion pumps have become commonplace equipments at major healthcare facilities around the world, using meticulous configurations at both software and hardware levels to administer precise amounts of fluid. Naturally, even minor defects can be a worrisome issue for both healthcare providers as well as the OEMs that manufacture them. 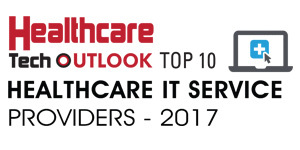 Such was the case for a large healthcare organization, whose multiple deployments were erroneously configured. The OEM vendor knew that the products had to be recalled from the field but a full-scale field change order(FCO) for over 45,000 deployed instruments in just 12 months would have been a monumental task for the six field service engineers, who were already involved in the daily routine of servicing their customer base. Fortunately, they had a long-standing partner in CSA Service Solutions, who stepped in to strategically break down the nationwide deployments into manageable geographical pieces and execute product recall quickly and efficiently. CSA has carved a niche for itself in offering cradle-to-grave services to healthcare OEMs and software vendors, ranging from installation, full project management, depot repair, logistics management, compliance, and validation, to expertise areas like on-site support, call centers, and product training. In cases where CSA is brought in to manage service operations for equipment that are already functioning in the field, the team analyzes the repair history of the product, the end customer using it, and their needs in terms of on-site or off-site support and service level agreements. Following the overall needs assessment, a customer engagement manager from CSA establishes a plan and leads the project from initiation to success, regularly illustrating to and interacting with the client. For a client who is introducing a new medical device, equipment, or software for its customers, CSA reviews in detail the volume, complexity, usage environment and overall ergonomics of the product. Davis and his team work together to analyze the serviceability of the product, the implementation at the end customer’s environment, and therefore formulate a deployment plan. The company has proven capabilities of executing anywhere between one-time specific projects to nationwide deployments that require the team to analyze multiple facilities and use cases. A significant contributing factor to this success is CSA Service Solutions’ team members, who are regarded as associates since the company believes in hiring individuals with sound technical skills in their respective expertise areas. As a result, CSA also provides clinical education services that include product training, go-live, and configuration support. “In 2016, we delivered over 50,000 hours of support services to over 440 healthcare facilities across the U.S.,” says Davis. The team also loves exploring the complexities of risk-analyzing medical device software that come under the scrutiny of compliance and regulations. Their comprehensive project analysis before execution, combined with their range of expertise, has helped CSA Service Solutions retain a reputed client base for over nineteen years. The range keeps expanding, as CSA is now set to explore relatively niche areas, such as geo-fencing and remote diagnostic monitoring of UPS power solutions. Since these products are deployed remotely and usually forgotten until a power failure occurs, CSA Service Solutions plans on providing diagnostic tools that can help its clientele take action before such occurrences. Geographically, the company looks to establish its centers in Canada by 2018. In the backdrop of healthcare organizations further exploring newer possibilities with cutting-edge software and hardware solutions, the stage is set for CSA Service Solutions to bolster the service operations for such technology.